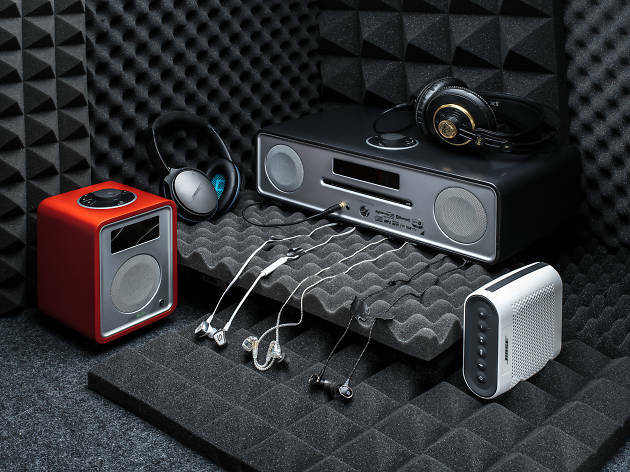 Enjoy your favourite tunes with these cool speakers and headphones. High fidelity has never been so stylish. Ruark Audio R1 MK3 $2,480. HMV, 2/F-4/F, Pearl City, 22-36 Paterson St, Causeway Bay, 2504 3669; hmv.com.hk. Bose QC25 Noise Cancelling Headphones $2,488. Bose Store, Shop 320, 3/F, Ocean Centre, Harbour City, 3-27 Canton Rd, 2688 6887; bose.com. Soul ImpactWireless $749. Fortress, G/F, Yu Sung Boon Bldg, 107-111 Des Voeux Rd, Central, 2544 4385; fortress.com.hk. Audiofly AF1120 $5,388. Broadway, Shop 1074 & 1076, Elements, 1 Austin Rd W, West Kowloon, 2196 8144; broadway.com.hk. Audiofly AF78 $1,598. DCH AV Counter, Shop MTR-01, Festival Walk, 80 Tat Chee Ave, Kowloon Tong, 2121 8635; dch.com.hk. Bose SoundLink Colour Bluetooth Speaker $1,188. Bose Store, Shop 320, 3/F, Ocean Centre, Harbour City, 3-27 Canton Rd, 2688 6887; bose.com. Ruark Audio R4 MK3 $6,980. 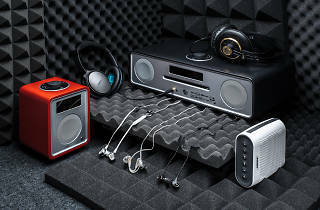 Universal Audio & Video Centre, Shop 218, Pacific Place, 88 Queensway, Admiralty, 2801 6422; universal-av.com. AKG K240 Studio $1,290. Tom Lee Music, 1-9 Cameron Lane, Tsim Sha Tsui, 2723 9932; tomleemusic.com.hk.